The first version of the TTRS based on the MK2 TT and using the 2.5L 5 cylinder engine is a great car from the factory. The lighter body shell due to part aluminium construction helps make this car fell nimble and light. The 5 cylinder engine has the district sound track from the 80’s rally cars. The owner of this car wanted a package of tuning that would enhance the car without taking away it every day practicality. Having has several RS3’s ourselves which use the same engine we knew what would work well. 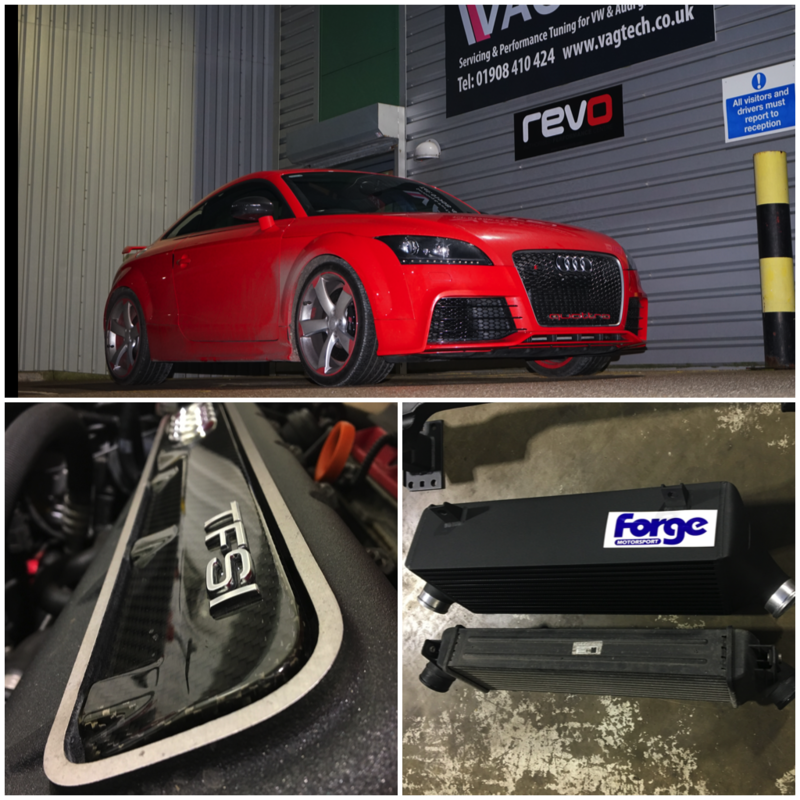 Revo stage 2 engine software, Revo intake, Forge intercooler and Milltek exhaust were all installed. The end result is over 430 BHP and 564Nm of torque. The drivability of the car is improved with better throttle response and more mid-range torque make this already fast car even faster.